What and Who to See in the Museum? The Belgian Strip Museum is undoubtedly one of the major tourist attractions in Brussels, along with other national symbols of the country such as beer or chocolate. No wonder though, since Belgium has 700 talented comic strip artists, the largest number per square mile in the world. The Comic Strip Centre spreads on three floors of the Art Nouveau building designed by the renowned Victor Horta in 1906. This realm of imagination houses a large merry family of paper heroes, such as the well-known Tintin, Spirou, Bob and Bobette, the Smurfs, Lucky Luke, Blake and Mortimer, Marsupilami, etc. As you come into the ground floor hall you’ll see statues of famous characters, such as Tintin, and a 3 meter tall rocket that Tintin encounters during his moon adventures. Tintin is a journalist with a funny ginger quiff who keeps getting in dangerous situations, which he always manages to overcome with the help of his friends and his pet dog Milou. What is more exciting is that Tintin takes us on adventures in every corner of the globe and even in outer space (Tintin in America; Tintin in the Congo; Land of the Black Gold; Tintin in Tibet; Destination Moon; Explorers on the Moon; The Shooting Star; The Secret of the Unicorn, etc). Let’s skip the first floor for now and go to the second floor dedicated to statues of and accessories belonging to famous characters. You will no doubt be impressed by Spirou’s gigantic hat suspended in the air. Spirou, the red-cap bellboy who later becomes a reporter, is a cheeky, spontaneous boy who likes a joke, but has a good heart. Very much of an adventurer, always accompanied by his friend, Fantasio, and Spip, his pet squirrel, Spirou ﬁghts all sorts of villains (pirates, evil scientists, the mafia, etc) all around the world. In spite of this he remains faithful to his elevator boy uniform and red cap. Then, you might know Lucky Luke from the classic French comic about a cowboy, but also from the cartoons by the same name. So far, these characters may appeal mainly to 8-14 year-olds, but their smaller brothers or sisters will not get bored either here. 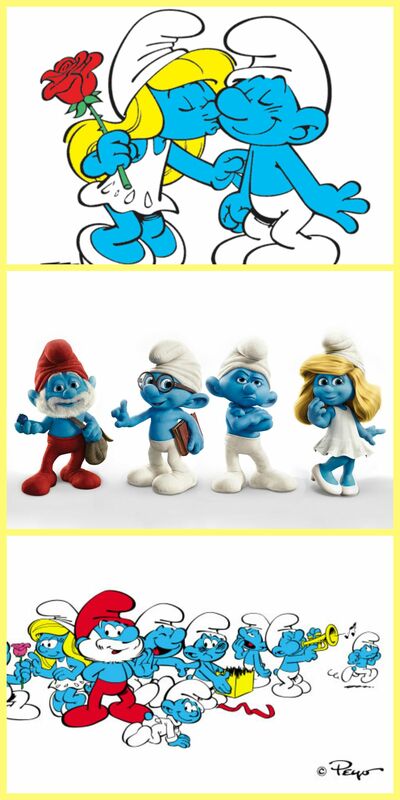 For The Smurfs/The Schtroumpfs (created in 1958 by another Belgian artist, Peyo) are here too to entertain them. These funny blue dwarfs ‘three apples high’, are known and loved by children all over the world and are at the origin of a real “Smurfs’ mania”, ; let’s just remember a few characters in these stories: Papa Smurf, Smurfette or Gargamel. 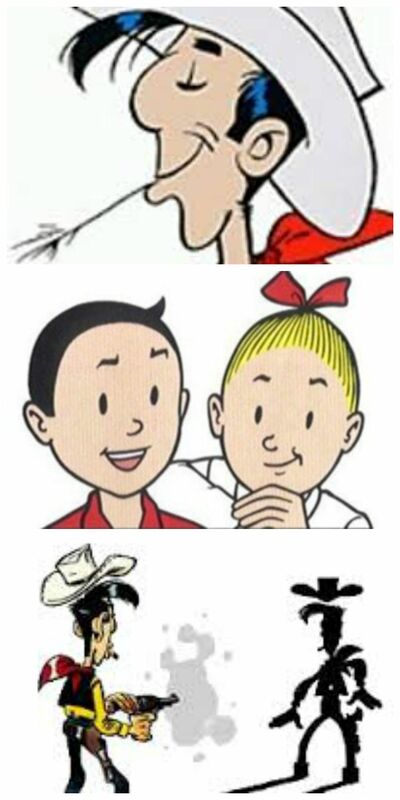 Bob and Bobette, known to the Brits as Spike and Suzy and Suske en Wiske for the Dutch, tells the adventures of two children (pre-adolescent or adolescent depending on the album), along with their friends and family. The fantasy stories include talking animals, time travel and ghosts. Well, and there are many more… If you haven’t met them on paper yet, you may have seen cartoon films inspired from some of these comic strips. Going up to the first floor, you will find several panels, each representing a certain step in the making of a comic strip story, and various styles they are made in – in pencil, ink and paint. When you feel like taking a break, you may sit in the small cinema room and enjoy cartoon adaptations of the comic strips you have seen on this floor. Further up, in the comics library, you can sit all day long and leaf through your favourite comic strips for only 0.50 euros; you can’t get bored as there’s a choice of 3,000 albums in over 30 languages. Back on the ground floor there is a café and also a souvenir shop which tempts you to buy various types of comic strips and collectables. Besides regular tours in over 10 languages, guided or not, the museum offers holiday courses appealing to children of all ages. And if you want a unique birthday party, this is the place to enjoy it among your favourite characters. Overall, I found the museum really exciting because of its special selection of comic strip art telling amazing stories through drawings, sculptures or films. I would recommend it to all comic art enthusiasts who want to meet with heroes they know or don’t know yet. And I can guarantee that this unique museum will give them a taste of Brussels, the capital of comic strips. For more information, fees and activities visit the site. 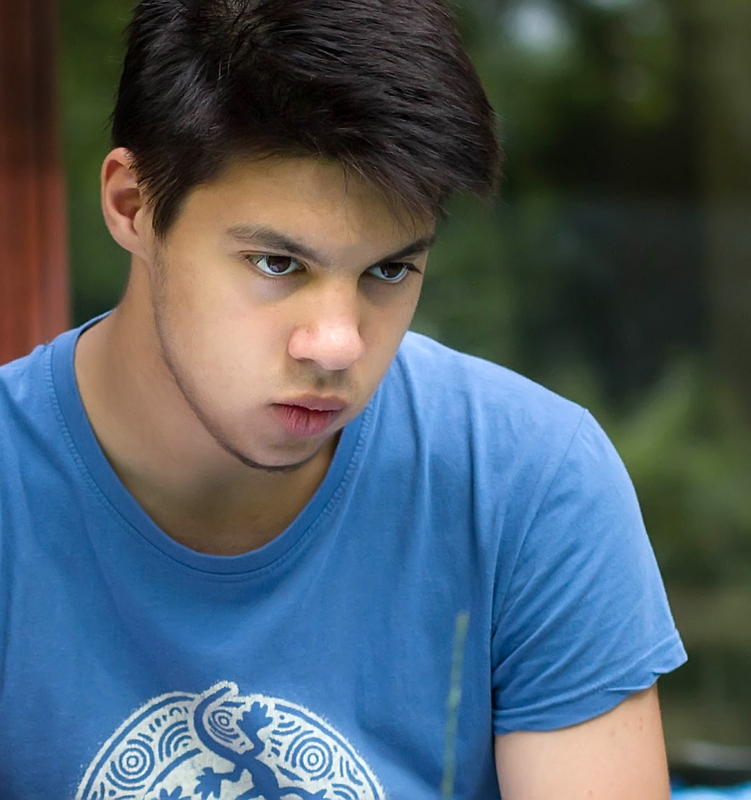 Mihai is a student at the European School in Brussels, where he has lived for almost 10 years. He is 15 years old and has two younger brothers. Besides visiting museums in the Belgian capital city, his passions include Biology, Art and Economics. Mihai will be happy to share with you his impressions on the top Belgian museums.